Hey, my names Jess and I like to take photos of EVERYTHING. Yes, I'm one of those annoying people that likes to take pictures of absolutly everything. Street art, my food, and intresting achritual silhouetted, a skyline ANYTHING. I love documenting days out and time spent with friends. I like to look back on the photos and remember the feeling of the day, what we did, what we laughed about, what we spoke about and what we dreamed about. I have a vast camera collection, from film to Polaroid to my DSLR but yet, I'd say a good portion of my photos I take are on my phone. Which is fine, smartphone cameras can be rad, but still, sometimes nothing beats shooting on an actual camera. I think the issue for me is ease and the need for compact - especially on days out. Sometimes I want something smart and sleek I can throw in my bag and whip out to capture a moment and one model that ticks all those boxes for ease but without having to sacrifice quality is the Lumix Mirrorless 12-60mm Lens Camera from Panasonic - pretty cool right? One such day I could have done with the aforementioned Lumix beauty was last weekend. Myself and my two BFF's had a mini road trip in search of food, ice cream and just a bloody good time. After a few stressy weeks, it was great to just hang out and enjoy each others company. Both my best pals share my love for capturing the moment so you can bet a LOT of photos were taken that day. This, however, was my fave shot of the day. All 3 of us, happy and together, very kindly taken by a man passing after he saw us struggling to set up some sort of makeshift self-timer situation. 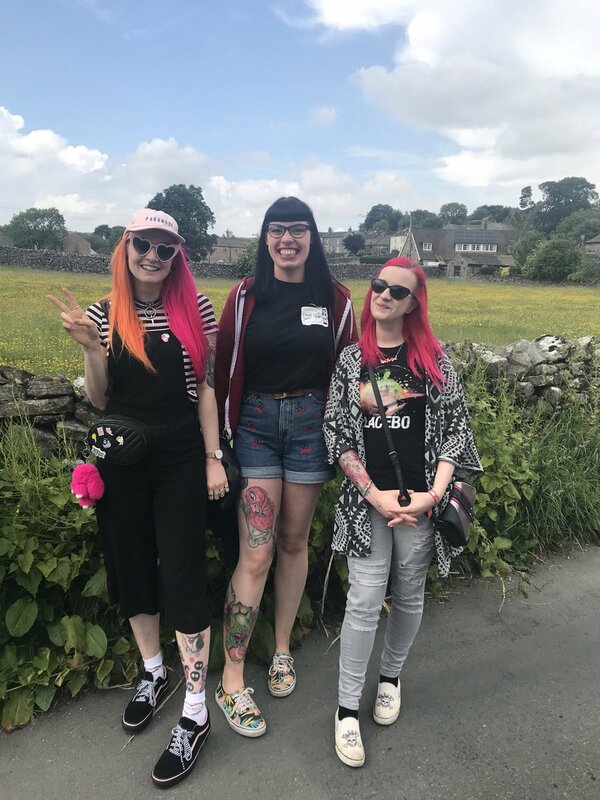 I look back at this picture and it just makes me smile, I remember the completely blissed out feeling I had, how much we laughed and it makes me appreciate how fricking great my best freinds are and how lucky I am to have these wonderful women in my life.